Note: These workshops are led by NYSED Teacher Leaders and can be taken as stand-alone professional development, but content and teaching strategies will connect across workshops, so teachers will benefit from attending multiple sessions. During the workshop, participants will have a chance to look at the Math Domains and the percentage of math on the TASC test. Participants will have a chance to deconstruct Math problems. It’s not just about getting the answer, it is more about the steps to obtaining the answer. Come join us and you will have an opportunity to win classroom supplies. 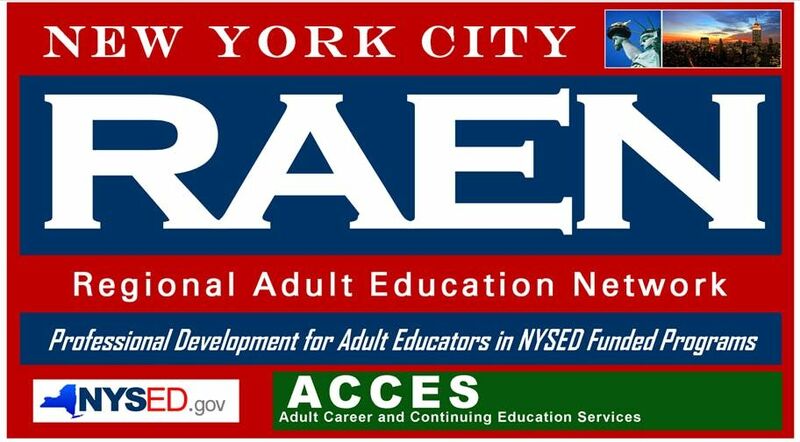 •All NYC RAEN workshops are for teachers/staff of NYSED-funded adult education programs. •This is a three (3) hour workshop.